Well we got started at about 7:30 on Saturday morning. We picked up some donuts at Dough Boy, filled up the tank and headed South. We made pretty good time until we hit New York. 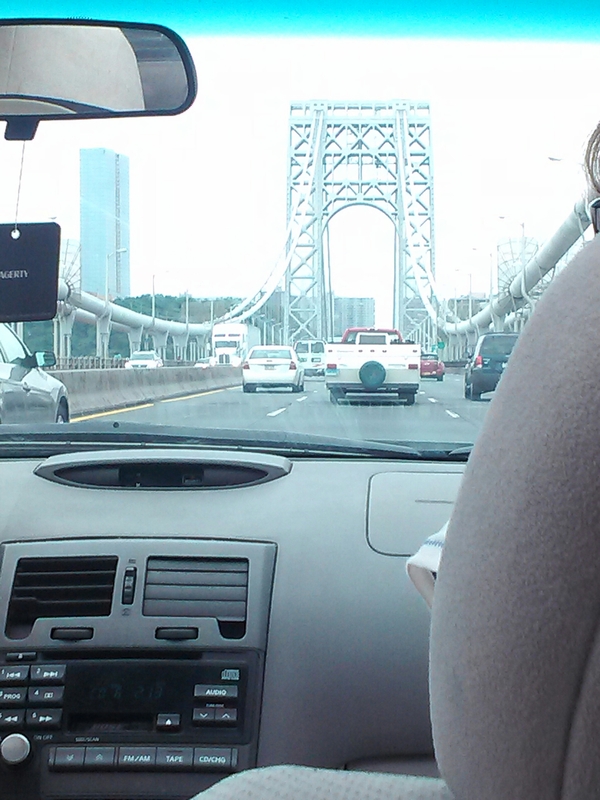 It took a little over an hour to get through the last 5 miles before the George Washington Bridge. We crossed over into Jersey and I managed to get lost, not once, but twice. After driving through some rather distressed areas of New Jersey, I figured out where to go and got back on track. 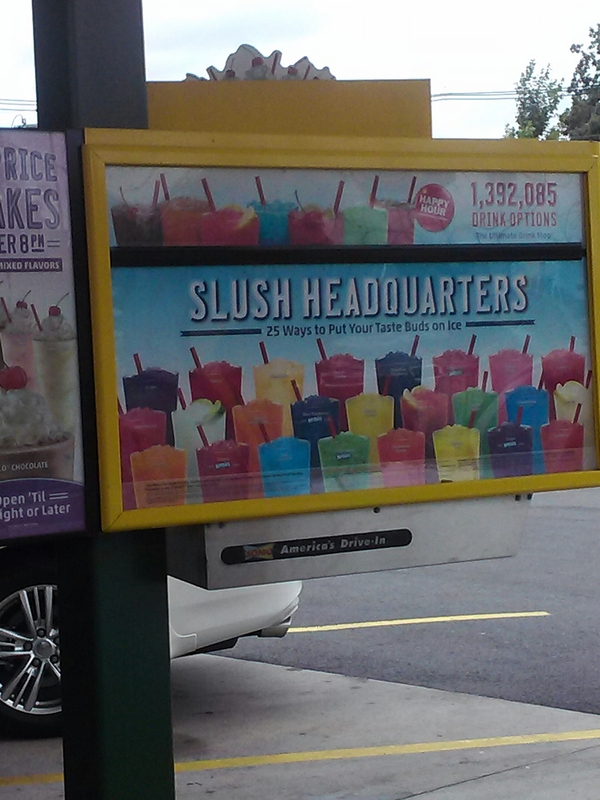 We stopped at a Sonic somewhere in Jersey for lunch and continued our adventure. 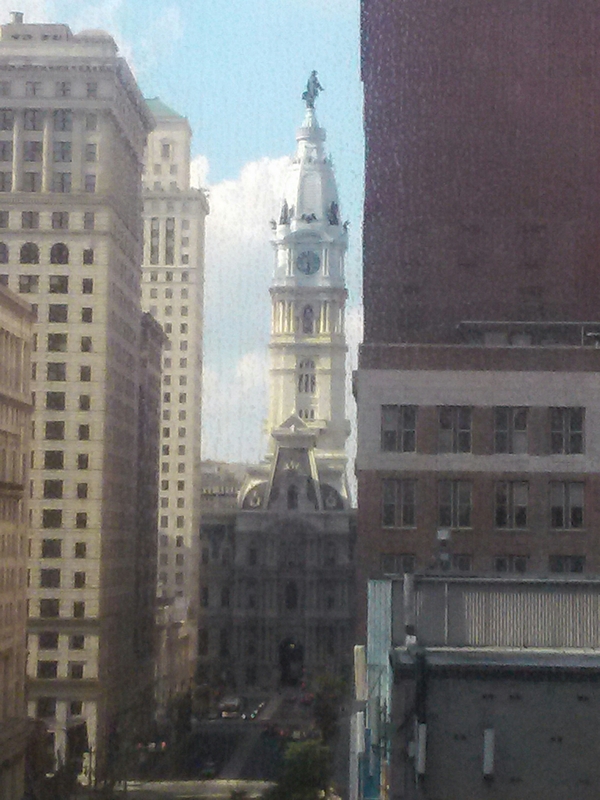 It didn’t seem like too long before we got to Philadelphia. It did seem to take a very long time too get to downtown. I got lost once more and finally made it to the hotel at about 5:00. Nine and a half hours to go 354 miles. Yep, it’s an old time family fun vacation. More on Philly later.